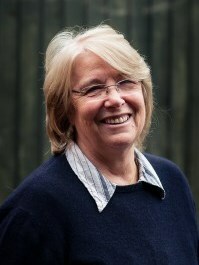 Sue Atkins BBC, ITV, Sky, International Parenting Expert, Coach, Author, and Broadcaster says: "I love the simplicity and philosophy of Can-Do Child, all set within a rigorously child-centred practice in which enjoyment is taken seriously and placed centre stage. You will love seeing your kids blossom, bloom and grow in confidence. If my kids weren't grown up now I'd be embracing all these super ideas and activities, nautrally incorporating them into our time together." "In a world where children are increasingly measured on a narrow set of exam results, [The Can-Do Child] helps parents develop the skills youngsters really need in life, like resilience, resourcefulness, and perseverance. Full of practical interesting ideas, this is the essential tool kit to enable you to bring out the real potential in your child." Jenny Briggs is an Early Years consultant and creator of the award winning Ben & Betty interactive programme for early years learning. She also ran her own successful nursery and infant school for over 20 years. Speaking of The Can-Do Child book, Jenny says: "We need every child to have the confidence to accept any challenge they are faced with, and fulfil their potential as they develop into happy well-adjusted adults. I have worked with young children for fifty years and have never read a book offering so much beneficial help to parents and educators. I love the Three Es! Thank you Lorraine it is inspirational!" 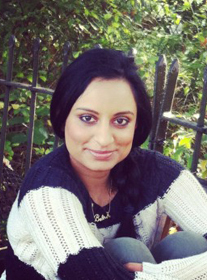 Priya Desai Independent speech and language therapist and children's author, Priya says: "Children need ideas, an encouraging environment and a little direction to learn a creative process. This is an exceptional resource for parents, which gives practical ideas that can be used to inspire children to be free-thinking spirits in today's enterprising world. Learn how to use your environment, to nurture your child in seeking wonderful opportunities for growth and potential. Unlock the uniqueness and special talent in your child." 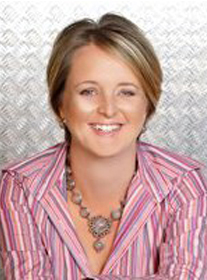 Dr Amanda Gummer is one of the UK's leading experts on play, play development, and child development. 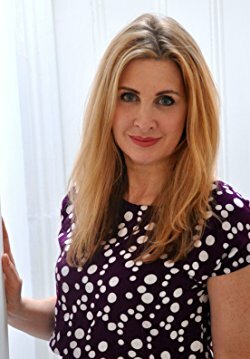 She is also author of 'Play: Fun ways to help your child develop in the first five years.' Amanda says: "Children don't come with a manual so the best way I have of supporting parents is to give them a toolbox and for me the way The Can-Do Child is being delivered is some really cool tools in their toolbox." 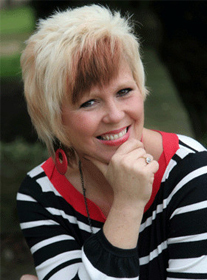 Dr Lynne Kenney PSy.D is a practicing pediatric psychologist, international educator, and co-author of Bloom. She says of Can-Do Child: "...it provides a practical and inspiring approach to enhancing your enjoyment of parenting, and relationship with your child, whilst boosting their can-do confidence and abilities. Anchored in a straightforward and insightful approach to bringin out the inner potential in your child in a way that fits really easily into everyday family life, Can-Do Child will help you to help your child become happier, more independent, enterprising, and resourceful. I thoroughly recommend it for both parents and professionals." The Lorna Young Foundation (LYF) works with disadvantaged communities; raising awareness of ethical trading and encouraging the use of self-help social enterprise so that young people and adults can learn practical life skills, reduce poverty both at home and abroad. Director of the Lorna Young Foundation Christina Longden says: "We are delighted to be working with Lorraine to enhance our toolkit of tried and tested workshop activities. She has produced a fantastic guide that appeals to everyone from parents and teachers to youth and community workers or leaders who simply want to foster an enterprising spirit. It is so heartening to see a book that also tries to address the issue of 'enterprise giving back to the world's poor', and the explanations, exercises and case studies are far better than anything else that we have found to date. Brilliant book and a brilliant website!" Tim Campbell MBE winner of the first BBC series The Apprentice and founder of the Bright Ideas Trust, Tim wrote the Foreword for Lorraine's first book 'Enterprising Child' and said: "Mark Twain said that life does not consist mainly, or evenly largely, of facts and happenings. It consists mainly of the storm of thoughts that is forever blowing through one's head. Enterprising Child and the journey Lorraine wants to take us on as parents, guardians and/or teachers of the next generation will help make those thoughts imaginative and educational without being hard work. She also gives us additional tools, and in some cases acts as an aide memoir to things we know instinctively from our own childhood, that work." 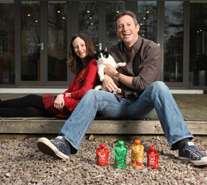 Paul Lindley multi award winning entrepreneur and founder of Ella's Kitchen was interviewed by Lorraine and features in both books. He says: "I was delighted to support Lorraine in a small part of [the Enterprising Child] book because I am always so inspired by children and their potential for the future. I passionately believe that the first few years of life set the pathway for most people's life story - whether its nurture, and how a child is brought up, or nature in what parents pick up from their children's natural attributes, interests and skill sets. Our lives are clearly products of both and this book helps parents navigate to spot interests in their child, encourage them and hone their natural skills. It's a fascinating look at what could make a difference and help us better establish a cultural mind-set of delivering the British Dream for our children, just like our US cousins believe in their American Dream. Most importantly its another small step in helping some children have a better chance to achieve their potential." Enterprising Child Ltd is registered in England & Wales, company reg. 8089138. 71-75 Shelton Street, Covent Garden, London WC2H 9JQ. 'Enterprising Child' and 'because their future starts with you' are registered trademarks of Enterprising Child Ltd. 'Can-Do Child' is a trademark of Enterprising Child Ltd.